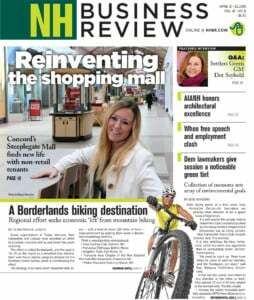 ApprenticeshipNH, a grant-funded effort that seeks to address workforce needs in specific sectors throughout the state with a combination of classroom instruction and on-the-job training, has added two two sectors to list of those served – the construction and infrastructure and hospitality sectors. “We want to be able to offer people in New Hampshire multiple pathways to enter high-need careers. Expanding our focus for apprenticeships in areas of growth such as construction and hospitality will enable more people in diverse career paths to advance,” said Emily Zeien, grant manager for ApprenticeshipNH at the Community College System of New Hampshire, which operates the program. The two newly added sectors join the advanced manufacturing, information technology and healthcare sectors, which have been served since the program’s inception. Through ApprenticeshipNH, employers are connected with community colleges to develop apprenticeship training programs that help businesses develop a skilled workforce. In the construction and infrastructure sector, participating employers can include construction management companies, land surveying companies, civil drafting and CAD firms, state and municipal highway and transportation departments and landscaping companies, among others. The partnerships can leverage existing degree and certificate programs in heating, ventilation and air conditioning, computer-aided design, civil engineering technology, landscape and environmental design and diesel heavy equipment technology. Hospitality sector employers include hotels, resorts, restaurants, event and conference centers and ski and recreation centers, among others. They can leverage existing degree and certificate programs in hospitality, culinary arts, baking and pastry arts, event and conference management, restaurant management and resort and recreation management. Employers in each sector have the flexibility to identify coursework and programs that best align with the needs of their businesses, Zeien said. They can also take advantage of the Business and Training Centers at each college to develop customized, non-credit training. For ore information, visit apprenticeshipusanh@ccsnh.edu.